You can use command prompt to hide a folder that you want to be invisible for the other people. We also posted a trick to lock a data folder in pc in which we used notepad, but now you will learn in this post that how to hide a folder using cmd. This trick is more secure and recommended for you (by me) because when you hide a folder using cmd then the hidden folder and the files under it will be absolutely hidden, i mean even if someone search for "hidden files and folders" then still the searching process will fail to find your hidden folder(while using other method their are more chances to find your hidden folder), so if you want to hide a folder in your pc then use command prompt to hide it and protect your personal data from others. Now if you want to hide folder and you still don't know then their in this post we are showing this trick to hide the folder completely from your computer. First of all open 'Run' Press windows key + R.
Then type in run CMD and hit enter. 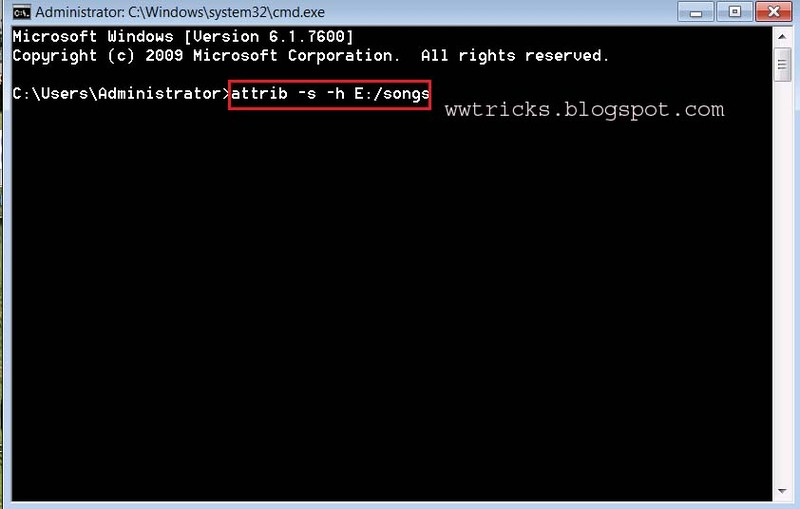 Command prompt window will pop up on your pc. 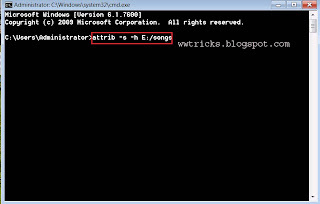 Now type here "attrib +s +h folder path". let i want to hide the folder "songs" in E drive then i will type it as attrib +s +h E:/songs. After typing that and hitting enter go to E:/ drive and see, the folder will be invisible!!! 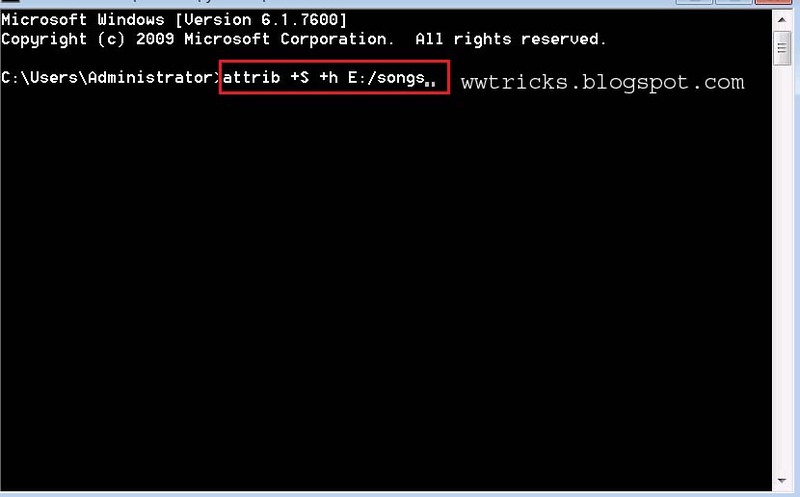 Now if you want to make the hidden folder visible again then just type in cmd attrib -s -h E:/songs. And hit enter. Now you can see the folder that is visible. 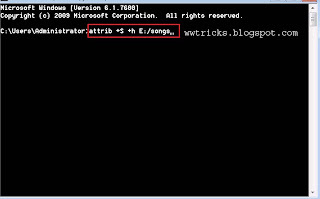 So this was a simple trick to hide any folder in pc using command prompt, you can also hide a full partition from your computer if you don't know then learn how to hide full drive from pc?.